Every so often, I venture into middle-grade (MG) book choices, usually after reading a long list of YA books. 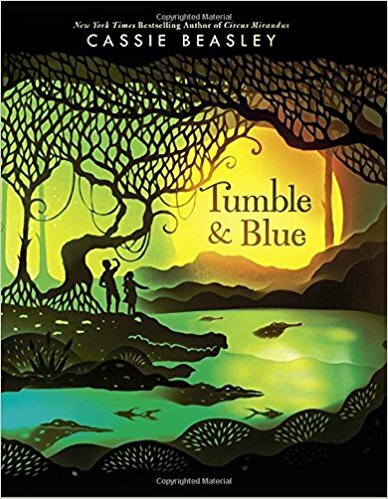 I picked up Tumble & Blue by Cassie Beasley because of the cover alone. Isn't it gorgeous? Blue Montgomery's fate is more like a curse. He loses. At everything. Some of the other Montgomerys' fates aren't much better -- terrible body odor, car accidents, electrical issues. But the legend says that once every one hundred years, under a red moon, a Montgomery can claim a great new fate in the Okefenokee Swamp. Even though Blue wants to be that Montgomery, he knows it's impossible. So when his dad drops him off at his grandmother's house for the summer, he can't imagine his life will change much. After all, how can a loser claim what every other Montgomery wants? His life does change when he meets Tumble Wilson, hero in training. She's been following the rules in Maximal Star's book (How to Hero Every Day), and she's sure it's only a matter of time before she figures out this hero gig. Never mind that she's clumsy or that her rescues sometimes go wrong in the end. In time, she'll feel better, braver. The guilt will go away. Her parents won't have to lie to her anymore. When she learns about Blue's family and his curse, she's willing to do what it takes to help him get to the swamp to meet the golden alligator, Munch. It's a hero's job, and she's up to it. 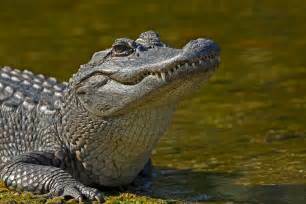 At various points, there's an excerpt before a chapter from the alligator's point of view. The reader learns the whole story of how the family became cursed and his opinion of the humans who venture into his swamp. Themes of friendship and family wind through this tale. When the two kids head to the Okefenokee Swamp, the author pours on the magic. I loved the scene in the swamp and how the kids found their way to the meeting place. The author also introduces questions about fate and never giving up. Tumble & Blue is a charming story, full of quirky individuals, family secrets, and a good dose of magic. I give this MG tale a 4.5 out of 5. Sounds like a fun book, Jill! Beautiful cover. Quirky characters are so much fun and those two seem like quite the pair. Sounds like a great read.